A pair of siblings escapes—along with a Siberian Husky—the strictures of their 1950s industrial Ohio town on the adventure of a lifetime. Talented high-school senior Donna Lane yearns to leave her Midwestern home in pursuit of a career in design, but she feels obligated to stay and care for her helpless father and her younger brother, Will. In fragile health and obsessed with the television show Sergeant Striker and the Alaskan Wild, Will’s dearest companion is a mute Siberian Husky named Trusty. The arrival of two outsiders inspires Donna to consider her dreams anew. Then Will falls sick, and Donna packs up their yellow convertible—with Will, Trusty, and a road atlas—and sets off for the Alaskan Territory. 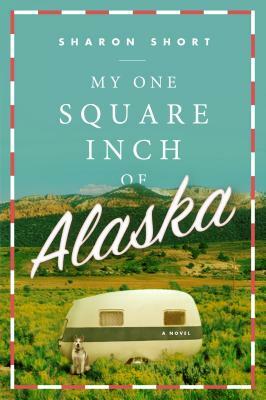 A portrait of a singular American moment, My One Square Inch of Alaska is a moving tale of exploration and love—human and canine—that dares to believe the impossible. Sharon Short lives with her husband and two daughters in Centerville, Ohio.